Today, it’s time to take you back to the beginning, and show you what got us to today. This is a long post, but it’s worth reading if you’re curious how we got to this point. Let’s turn back the time machine and head back to 2007! It’s still astonishing to us that Michael’s little side project has evolved into a productivity platform with an enormous community and a great team. So many factors got Nozbe on its current path. Both coincidences and hard work. You might not be surprised (if you have already read Michael’s “It’s all about Passion” book, among others) to learn that Nozbe wasn’t intended to be a global business. It was just a quick and dirty solution for organization issues. It was 2005. Michael, known today as The Productivity Guy and the author of #iPadOnly, was a PC user. Hard to believe, huh? There’s more than that: before he read “Getting Things Done,” he kept organized with MS Outlook – just like many other folks in those days. Michael was a marketing consultant. He worked from home, helping other businesses get better results online. Because he worked with their websites, he learned HTML, PHP and MySQL (technologies needed to build modern websites). And he had a lot of fun coding. But managing projects for many clients at the same time became a struggle. Then he got David Allen’s book “Getting Things Done”. Convinced by the method, but not by its reliance on paper, he searched for a digital solution. In the next few months, he spent some time fixing bugs and making new features. And he still thought about Nozbe as a simple project only for himself. Initially, there was no plan to make money. Michael had already tried running his own business. Michael and Victor created a simply email reminder service called… Nozbe. They offered a subscription but only a few users decided to pay. This project, like a later one, failed quickly, because they focused on making money. Michael gave up, but he learned a lesson. It was a chance to take entrepreneurial baby-steps. And now he already had a fancy name for the next project. You may know Michael as a #NoOffice evangelist, for proving that a remote company is a reliable and effective model. In fact, the idea isn’t new. 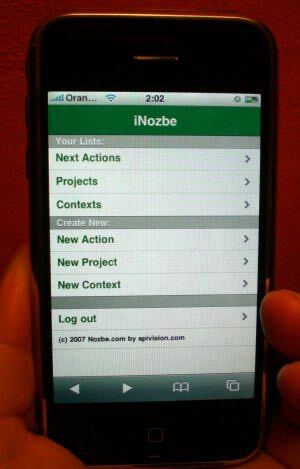 Nozbe reminder was developed using tools like ICQ and FTP. Now it would be Slack or iMessage and Dropbox. Is that really so different? Tools have changed, but not the methods. While the very first “private” Nozbe was ugly (Michael’s own words), an initial public release launched on February 1st, 2007 was the AJAX-powered web app with many enhancements. Two on-line publications laid the grounds for the initial success of Nozbe. The first was an article by Marc Orchant from ZDNet, called “Nozbe - a new GTD web app that keeps it simple”. A few days later LifeHacker published Gina Trapani’s quite short but positive article. These created a strong buzz around the web and pulled in thousands of curious GTD enthusiasts. 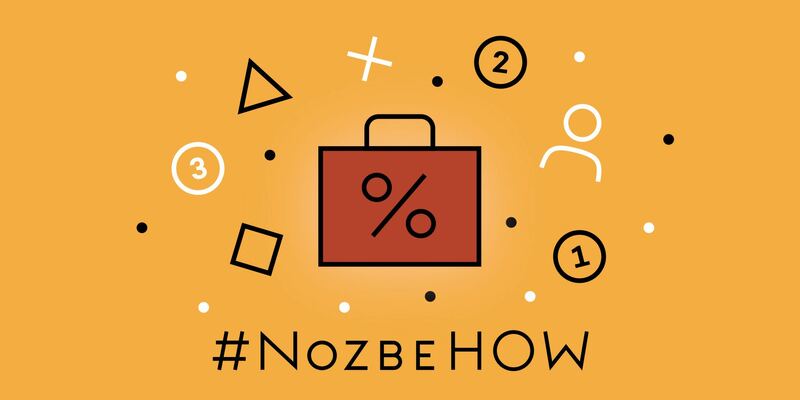 In the first 3 months Nozbe gained more than 5000 users. The time came to launch a premium plan. Two weeks later came the first 100 orders. It was enough to keep Michael’s enthusiasm rising. And to keep improving the app. Do you like our “Magic Arrow”? If that doesn’t sound familiar, here’s what we’re talking about: the Magic Arrow lets you decide whether you want to add a task at the top or bottom of the task list. It’s one simple click or a keyboard shortcut. This feature is as old as Nozbe itself, it was one of the first changes made after the public release (added on February 8th, to be specific). And it’s still available in our apps today. A few months later, in June, Michael presented Nozbe.mobi. The name says it all: it was a lite version for cell phones and their web browsers. At the same time the first public API for developers was introduced; in July – our Affiliate Program. In November, came Nozbe’s 2.0 release. The first 2.0. If you keep reading, you’ll see how chaotic the versioning was. This release was optimized to load faster and introduced email to task, which is still one of the most appreciated Nozbe features today. Due to the hype and huge userbase growth, Michael had to change Nozbe’s server infrastructure… twice! In 2008, Nozbe switched from being a side project to becoming Michael’s first and only job. He hired two employees: Tomasz (in 2008) and Delfina (in 2009). They are still pillars of the Nozbe team. From this point on, we can really start saying: we. In November, we introduced Productive! Magazine – an online periodical about time management, GTD and productivity. Michael’s guru, David Allen himself, was the first special guest. In the next issues, Michael spoke with Michael Hyatt, Guy Kawasaki, Leo Babauta, Jason Fried, Seth Godin, Laura Stack, Pat Flynn and many other gurus. It became one of the best productivity resources on the Internet – available for free. And now we know how it will end: in the last, 34th issue, Michael is going to present Greg McKeown, the author of the ingenious “Essentialism”. There’s no coincidence. We’re shutting down “Productive! Magazine” with a strong belief that there’s a need to cut off what is not essential. Even if it hurts. After more than half a year, I finally hired some guys from the Asia to build me an iPhone app. […] It was really bad. I tried to make it better but it simply wouldn’t do. I partnered with another company that was building iPhone and iPad apps […]. We managed to get a decent iPhone app quickly and an iPad app shortly after the iPad launched. This gave us tremendous momentum and my web application grew by leaps and bounds shortly afterwards. Thanks to Tomasz, Nozbe was evolving to a new product with a refreshed interface and better code. It was called Nozbe 2.0, despite the fact that there was a Nozbe 2.0 before. Fresh start with a new logo. The new interface was presented at GTD Summit and then released on August 2009 and was presented as faster, easier to use and more user-friendly. There were some new features too, like Review view with 3 tasks from the top of every project. 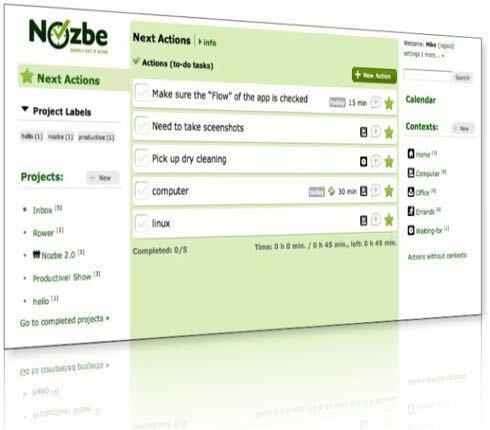 In 2010 our team was focused on improving Nozbe 2. And it was growing, too. In November, there were already 11 of us. The most memorable moment of 2010 was when we released the iPad app, made again with Macoscope. As a separate app, it had quite a different interface, styled after a leather notebook. We presented it on June 24th. A day later it hit the “Most popular” section in the US App Store! In those days, users got a truly GTD-style Inbox as well. 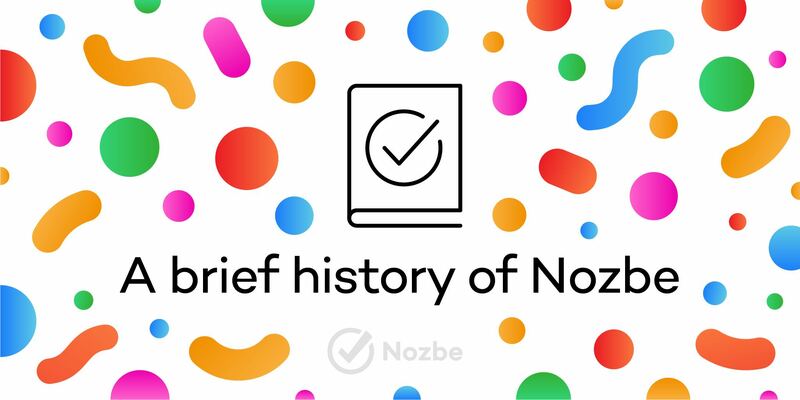 Everything started with a free chapter of a Japanese book “iPhone×iPad”, and that one was about Nozbe. We took off. Now Japan is one of our main markets, next to the United States and Poland. In March 2011 Michael organized a great tour there. It was about promoting Nozbe and meeting with users in a few big cities. But then the Earthquake happened. It was a groundbreaking experience for us. First, we realized how much – even human lives – depends on our work. Second – Michael and Tomasz created a new, great feature, called #PublicNozbe. Michael knew that Japanese people were sharing useful information through social media. And then came up with an idea. He could share simpler, more useful tools to make sure people know how to behave to keep themselves safe. So Michael and Tomasz started to code and finished it in 24 hours. Are you curious how it looked? #PublicNozbe templates are still available. Check out this one on first aid or Michael’s old weekly review template. The story has a sequel. Templates were shared during the 2016 (Earthquake in Kumamoto). And now we offer even better public templates: Nozbe.how. You can, for example, establish your morning routine or become a PLANK master. Possibilities are endless! Android was growing fast. And we didn’t ignore it. We published the first beta release for “green” devices in March 2011. And it was the first time when we really published our own native app! It was available for free (Macoscope’s iPhone and iPad apps were paid) and made exactly the way we wanted. And it was gorgeous. In those days we banned internal emails on our team. Michael forced us (and himself) to rely on Nozbe. We needed to eat our dog food. And we work without emails to this very day. We were constantly improving our service. We made some updates to our UI. And we already supported 7 languages (today it’s 10). Nozbe had 3 plans for groups: Family, Team and Business. 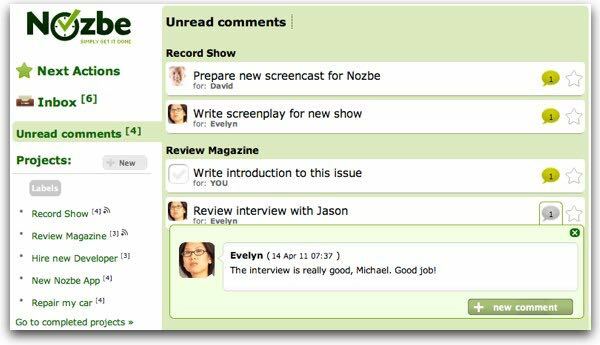 In 2011, we developed new features supporting teamwork, like the Unread Comments section. And, finally, we made a new app for Mac! It wasn’t native yet, just a web view inside the native window. But we made our first step. In 2011 we were working on apps for Mac and Windows. We didn’t just build native apps (which was a big thing itself) but also a new user interface and new user experience. 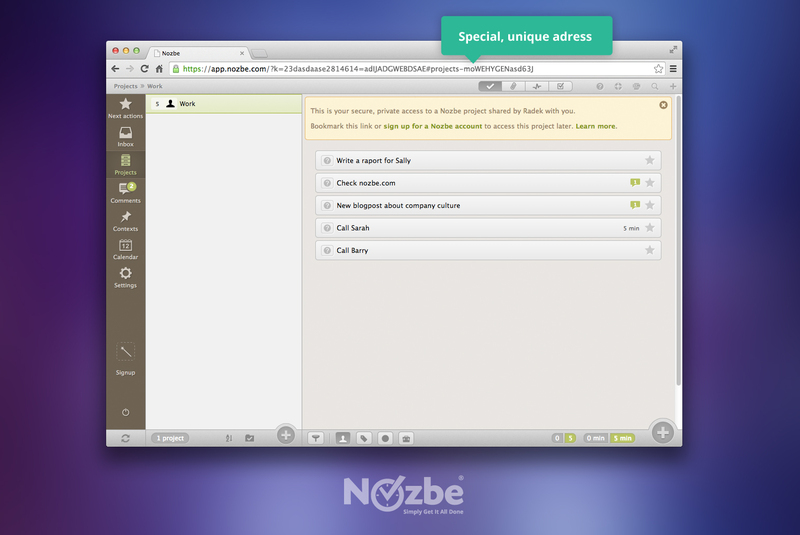 After 7 beta versions, in March we released Nozbe for Desktop 1.0. Even more new features arrived: auto-sync (that was huge! ), a hashtag syntax with auto-complete, a new search engine and more. 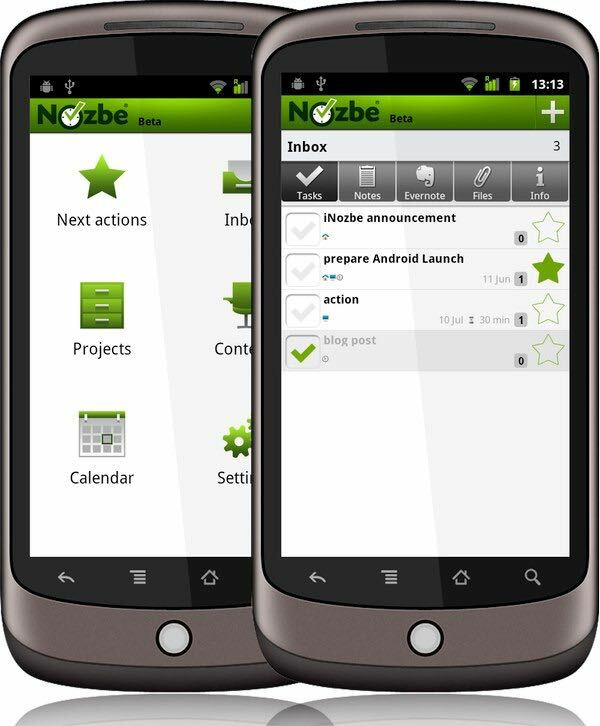 A few months earlier we published version 2.0 of Nozbe for Android. As you see, we kept separate versioning in those days. We were beginning to take responsibility for the iOS platform too. As Macoscope was constantly improving their apps for iPhone and iPad, we redesigned Nozbe Mobile (formerly known as iNozbe) – a web view for mobile devices, from iPhones to Blackberry. Nozbe 1.5 – Activity View & Team View, Markdown syntax in comments. In 2012 we declared that Mobile is our new name and promised new apps for iOS. It was a completely new universal application for both the iPhone and the iPad, built completely in-house by us from the ground up. The new app for iOS was available in the App Store in January, 2013. Not two apps, but one. Totally free. With a unified interface (iPhone – with mobile interface, iPad – similar to desktop apps). It, eventually, supported push-sync. And we were able to bring the newest features online instantly. In June Michael introduced the 10 Steps to Ultimate Productivity Course on YouTube (and it is still available in English, Polish, German, Spanish and Japanese). 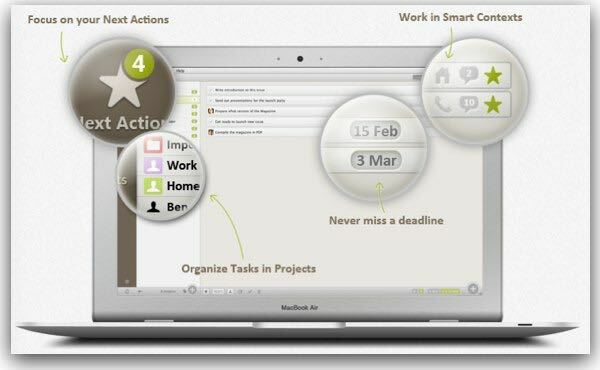 Based on GTD and some keynotes created for productivity events, it has evolved through the years to become a simple and coherent system to help newbies get everything done. In 2016 Michael made a great effort to rework and extend the course into an e-book. It will be released in 2017 in Polish and then in other languages. A month later, Michael published #iPadOnly, his first book. With co-author Augusto Pinaud, he wanted to show how to work efficiently and go totally mobile – using an iPad instead of a desktop device. 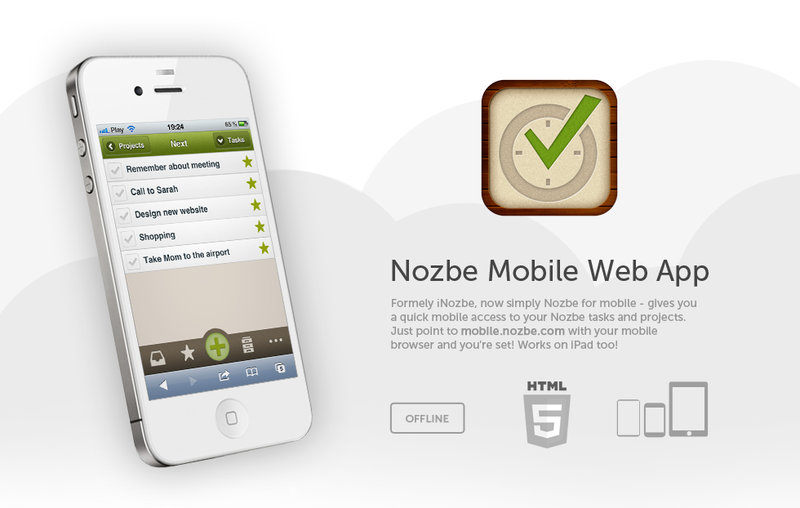 It’s not surprising that a little bit later Nozbe changed its direction from web-first to mobile-first. 2013 brought Nozbe 1.8.5 and a new supported platform: for the first time, we released a native app for Linux. Do you remember 2014? Maybe you were using Nozbe in those days? In February 2014 we had been working on an alpha version of Nozbe 2.0. You, careful reader, have probably noticed that’s the third Nozbe 2.0, and – like the previous one – came with lots of new features, new design, and the game-changing approach: One Nozbe. We saw how much the world, communication and technology had changed. We needed to give a strong response to that. We knew that mobile was the future. Mobile-first, to be specific. 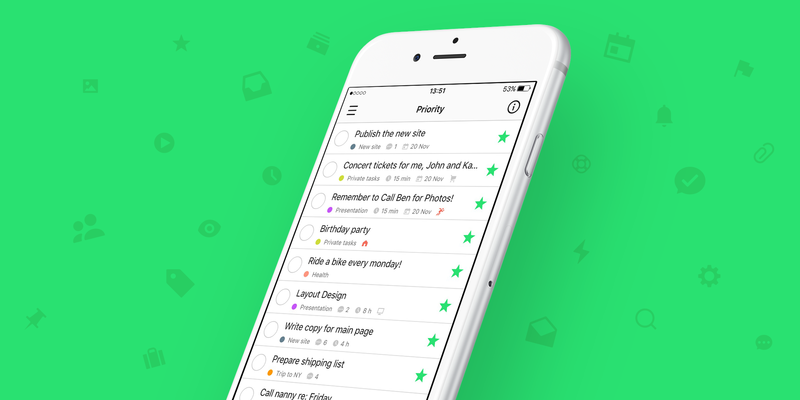 Our founder @michaelsliwinski testing new #nozbe20 #alpha #inbox on his #iPhone 5s. Works fast! That’s why we built a new interface that would face the demands of both mobile and desktop users. To make this possible, we started by designing a mobile UI and then created a desktop interface based on what we already had. One Nozbe was built on responsive design – and still is. You can check this by resizing the app window. 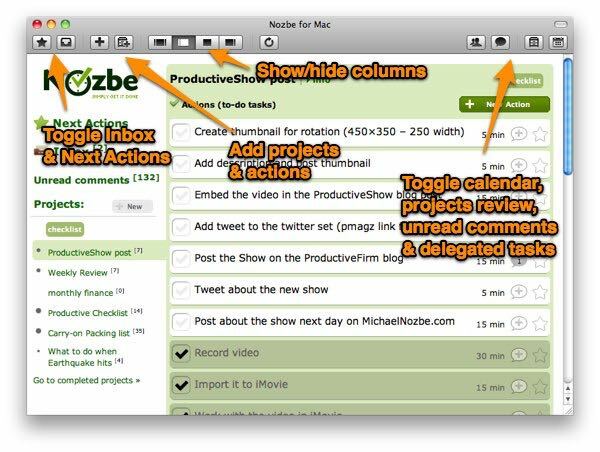 Nozbe 2.0 introduced improvements, new ideas (like bulk edit) and better flow for working with tasks. But the revolution laid in its background. 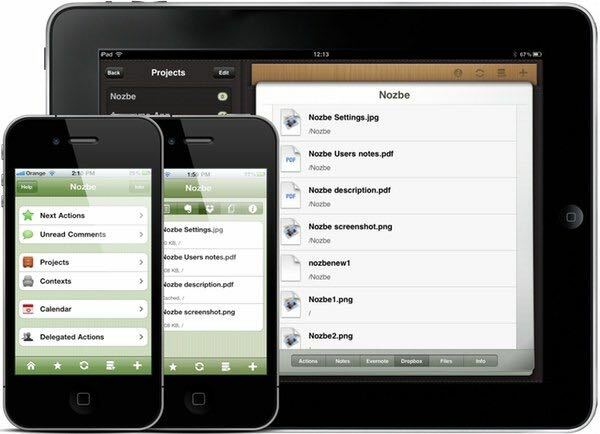 Even though Nozbe 2.0 brought many iOS-related features, like Widget and the share extension, it didn’t change the experience of One Nozbe – one for all platforms, all screen sizes, all operating systems. Finally in October, after months of coding, testing and fixing, we announced Nozbe 2.0. We developed Nozbe 2.x until February 2016. At the same time, Michael wrote a new book about 7 passions and how they drive us to achieve unbelievable things. It was his gift for his 35th birthday. You can still read the book – the only thing you need to do is to register for Michael’s newsletter. On April 25th Apple Watch was released. And the Nozbe for Apple Watch app as well. WatchOS became the sixth supported platform. Michael, tech and Apple geek, got his Watch very quickly. And he fell in love with it. We were focused on fixing and improving Nozbe 2, but we didn’t forget about the future. The idea of Nozbe 3 originated with our dev team and quickly spread to the whole Nozbe team. There wasn’t any chance to stop it. Android widgets, complications for Apple Watch, support for 3D Touch, and refreshed design – with Nozbe 2.5 in November, we were getting closer to the definitive change. The Nozbe team was growing quickly in those days – in 2015 Michael hired people to our Dev, Support and Marketing teams and, in effect, doubled the number of employees. 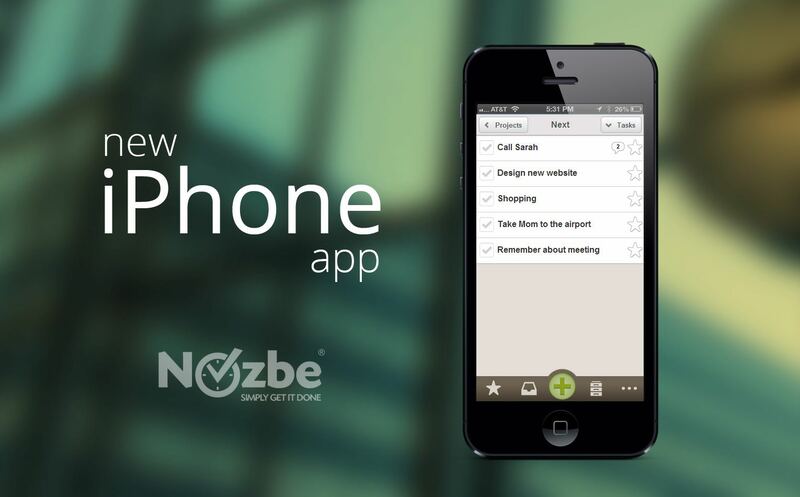 At the end of 2015, we introduced Nozbe.how, already mentioned above. We believe it’s one of the most useful and generosity-generating Nozbe features ever. On the 9th Nozbe anniversary, Nozbe 3.0 arrived. With a new logo, completely refreshed design, new Business accounts, new team & project roles, Google Sign-in, many native features and more – we did our best to impress you. Waiting for a new video showcase? Here it is! Since February, we’ve been working on smaller and bigger features like pinning comments, weekly & monthly productivity reports (highly appreciated by users!) and Quick Add on Windows. We’re equally proud of how we’ve changed as a team. We expressed our values and introduced our TGIF - special Fridays. We’re continuously improving both – we truly question everything. 2017: The best is yet to come. We’re proud of all 10 years of developing and improving Nozbe. This feels like just another beginning. We’re full of ideas for the future. There are short and long-term goals on our roadmap. We keep creating the best Nozbe ever. We are going to impress you again. We want to keep “wowing” you. Now we’re a 10-year company. We know who we are, what we’re striving for and what our main goal is. We want to create the future. For you and with you. Ten years. 87,658 productive hours all over the world. And still counting. Written by Kuba, social media manager. Nozbe Team member since 2015. This post was written with Nozbe, Evernote, Dropbox and Typora text editor. The author was using the Pomodoro technique, Google Search and Markdown formatting. These tools, and many others, make a productivity dream come true. Thank you! Join the new productivity revolution. Stop using email to work with others. Share projects through Nozbe.